Posted Thursday, Apr 15, 2010 11:07 AM EDT by HAMILTON SPECTATOR & filed under Code Red: 2010. Gilda Toscani is the $200,000 hospital patient. She didn’t intend to be that person. She didn’t want to be that person. In fact, she’s pretty sure she shouldn’t have even been a patient at Hamilton General Hospital. Oddly enough, the hospital agrees with her. Since early October, Toscani occupied an acute-care bed on the eighth floor of the General, even though she no longer required the highly specialized — and expensive — care that a hospital provides. For the time being, however, there was just no place else for her to go. The 83-year-old immigrant from Italy’s Abruzzo region had become what’s known as an ALC patient, to use the hospital euphemism. ALC stands for Alternate Level of Care, which is the health system’s terminology for a patient — primarily an elderly patient — who is occupying an acute-care hospital bed but who really should be elsewhere. That somewhere else could be a long-term care facility, a retirement home, palliative care or, better yet, back home with proper family and community health supports. “She’s on a list of two or three nursing homes, I don’t know how that works, ” said Toscani’s son, Domenic, standing at the foot of his mother’s hospital bed. He’s acting as translator because she doesn’t speak English. “So we’re waiting, hopefully, that there’s a call telling us that she’s been accepted some place, ” he said. The high number of ALC patients taking up acute-care beds is a serious issue that many hospitals across Ontario have been facing for several years. About 15 per cent of the acute-care beds at Hamilton Health Sciences’ Hamilton General, McMaster and Henderson hospitals are currently used for ALC patients. That’s actually an improvement from a high of 22 per cent in the past couple of years. At St. Joseph’s Healthcare, the situation is even more dire. About 20 per cent of the Charlton Avenue hospital’s 305 acute medical and surgical beds are devoted to ALC patients, down from a high of more than 30 per cent. “It is an expensive resource and I think it’s something every organization in the province is struggling with right now, ” said Amanda Westwood-Smith, ALC co-ordinator at St. Joseph’s Healthcare. At $1,299 a day for the 154 days she occupied an acute-care hospital bed in Hamilton, it means the cost to the health-care system to keep Gilda Toscani at the General for nearly half a year amounted to just over $200,000. Through no fault of either Toscani or the General, that staggering sum of money clearly shows that a hospital is indeed an expensive place to keep someone who doesn’t belong there. “These patients, they’ve broken out of the system, ” said Neil Johnston, a Hamilton health researcher who has collaborated on The Spectator’s mapping project for three years and acted as the chief data analyst. “They’ve become system failures, and they’re now in the hospital system — which is the last resort — and they’re stuck there. “And they’re stuck there in the worst possible circumstances, consuming resources that would be better placed elsewhere, ” Johnston added. In many cases with ALC patients, the hospital’s hands are tied. “Our role is to say the acute phase of this patient’s stay has finished, and now we need to work with the community and the family to find a more appropriate setting, ” said Brenda Flaherty, executive vice-president of clinical operations for Hamilton Health Sciences. But sometimes there are roadblocks. There may not be a spot available in a nursing home or maybe the patient can’t go home because the proper supports aren’t in place. “Getting a patient to the most appropriate setting as fast as we can is the best care for the patient, ” said Flaherty. Tying up acute-care beds with nonacute cases is more than just a problem for the elderly patients who end up temporarily warehoused in a hospital. It also causes a chain-reaction logjam that works its way back to the front lines of hospital care. “We know the reason we can’t move people quickly through our emergency department is because there’s not capacity in our system to take care of chronically ill people outside of hospitals, ” said Dr. Agostino Bellissimo, chief of emergency medicine at St. Joseph’s Healthcare. “We know that having this number of patients that don’t need this level of care is just slowing down the emergency department wait times, and that’s the last thing we want, ” added Westwood-Smith. The Spectator’s health mapping project shows there are significant differences in the distribution of ALC requirements across Hamilton neighbourhoods. 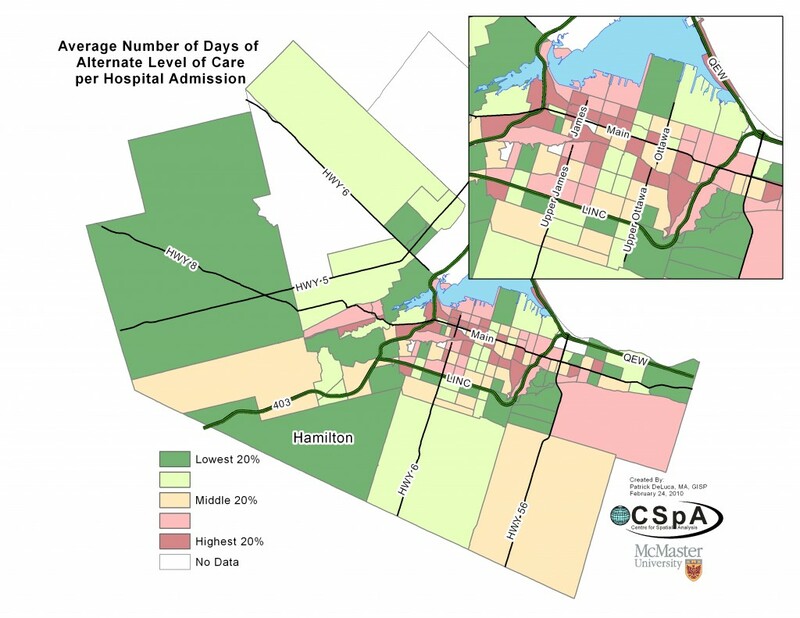 The data analysis shows there are connections between neighbourhoods with high rates of ALC hospital days and low income. At one extreme, the downtown neighbourhood bounded by James Street South, King Street West, Queen Street South and Hunter Street West had 3.8 days of ALC bed use for every hospital admission. At the other end of the spectrum, a rural Flamborough neighbourhood near Middletown Road had zero days of ALC bed use for every hospital admission. What’s interesting is that there isn’t a strong correlation between high levels of ALC hospital days and neighbourhoods with high proportions of people 65 and older. 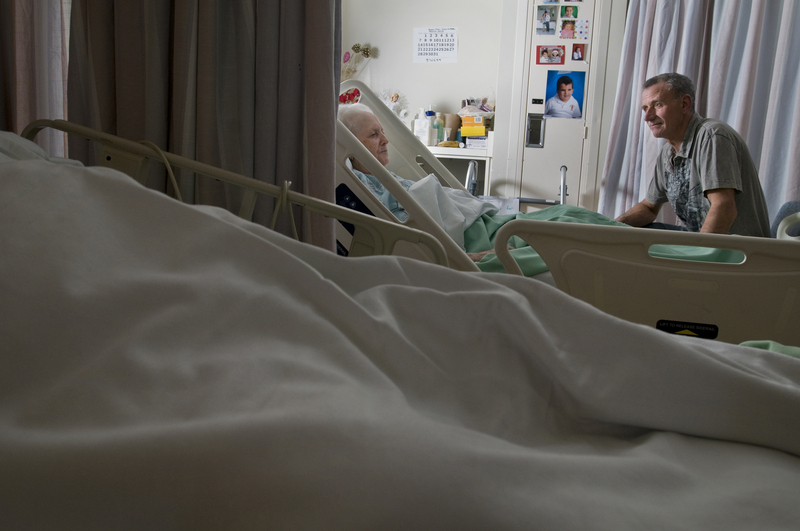 The analysis suggests that higher rates of ALC bed requirements could be linked to poorer elderly patients who might not have family supports in place or the financial means to find a suitable residence. Other findings related to the elderly also show wide variation between Hamilton neighbourhoods. ■ In one rural Ancaster neighbourhood, the cost of hospital bed use over a two-year period was $659,000 for every 100 people ages 70 and older. Meanwhile, in a rural Flamborough neighbourhood near Highway 8, the cost of hospital bed use was $40,000 over the same period for every 100 people ages 70 and older. That’s a difference of 16 times from highest to lowest. ■ In the neighbourhood bounded by Sherman Avenue North, the rail line near Barton Street, Ottawa Street North and the harbourfront, the rate of trauma-related emergencies for people ages 70 and older was 23 per 100 people ages 70 and older. By contrast, the rate was three per 100 people ages 70 and older in the rural Flamborough neighbourhood near Middletown Road. ■ The numbers also show a large variation in the proportions of seniors by neighbourhood across Hamilton. In the neighbourhood around Nash Road South, Queenston Road and King Street East, nearly 39 per cent of the people were ages 65 and older, according to the 2006 census. At the other extreme, just over 5 per cent of the people in the Flamborough neighbourhood around Highway 6, Concession 5 East and Centre Road were 65 and older. Taped to the wall next to Gilda Toscani’s bed are pictures of her great-grandchildren. On a bedside table, there are a few homemade Italian snacks. It’s the best the family can do to make Toscani’s shared hospital room seem a little more like home. “We bring in Italian food all the time, ” son Domenic says with a laugh. “She doesn’t really like the food in the hospital. “She would like to go someplace else but by the same token, they treat her pretty good here so she’s a little bit uncertain because she doesn’t know what to expect at another place, ” he added. His mother’s problems started in March 2009 when she stumbled and fell in her east-end Hamilton home, leaving her with a broken hip. “From then on, everything went downhill, ” her son said. First, a hip replacement, then rehabilitation at a nursing home, back home briefly, off to another nursing home, back home again before some new health problems landed Toscani at the General. Before she broke her hip, Toscani was able to get around her house with the aid of a walker. Now, she’s bedridden and her family fears she may remain that way. “What she complains about a lot is that she’s not able to take a step forward, ” said her son. “She’s lying in this bed with no chance of improvement. Meanwhile, the Toscani family is shuttling constantly between the hospital and their parents’ east-end home because their 87-year-old father remains there on his own, with the help of a five-day-a-week live-in caregiver. Even if their mother is placed in a new facility, there’s little chance their father will be able to join her, adding another layer of stress to the situation. The Toscani family, of course, is far from being the only family facing this predicament. With an aging population and longer life expectancies, the pressures will only become greater. “We knew this was coming years ago, ” said Westwood-Smith of St. Joe’s. “We’re at a point where we’re at a surge in capacity. “We’re just trying to get people to the right place, and unfortunately we work in a system where we don’t have access to the right place for these individuals yet. The call the Toscani family had been waiting for finally came in early March. On March 10, after 154 days in a hospital bed, Gilda Toscani was transferred to the Clarion Nursing Home in Stoney Creek. “I’m happy, ” said Domenic. “Hopefully, she’ll get a little more movement now. For Edmonton’s elderly population, home is where the health is. That’s the key objective of a health and social program for seniors launched a decade ago called CHOICE, an acronym for Comprehensive Home Option of Integrated Care for the Elderly. The goal is to keep the elderly healthy and living at home for as long as possible. CHOICE provides one-stop shopping for health and social services for the elderly at five locations around the Alberta capital. There’s a toll-free phone number for those who need to access services. Each client is assigned a team that includes a doctor, nurse, physiotherapist, occupational therapist, social worker and pharmacist. The clients receive transportation to and from the various facilities. “We’re trying to prevent institutionalization, ” said Carol Barr, director of co-ordinated access for seniors health at Alberta Health Services. An outside study shows the program reduces emergency room visits and shortens hospital stays if there is an admission. Similar programs have been launched in Calgary and Lethbridge. In Hamilton, St. Peter’s Hospital announced it will cut a significant portion of a similar type of comprehensive day program for seniors that has been running for more than 30 years. The elderly had been able to visit St. Peter’s twice a week to receive medical care, physiotherapy, occupational therapy and speech therapy. The Spectator, in collaboration with health researcher Neil Johnston, obtained nearly 400,000 anonymized records representing hospital admissions and emergency room visits for every person listing Hamilton as a home address, for the period April 1, 2006, to March 31, 2008. The records were grouped into geographic areas called census tracts, roughly equivalent to city neighbourhoods. Census tracts are used by Statistics Canada to measure a wide variety of social, economic and health variables within urban regions of Canada. For this project, there were 130 usable census tracts for the amalgamated City of Hamilton. Twelve health variables and 12 social and economic variables were chosen. 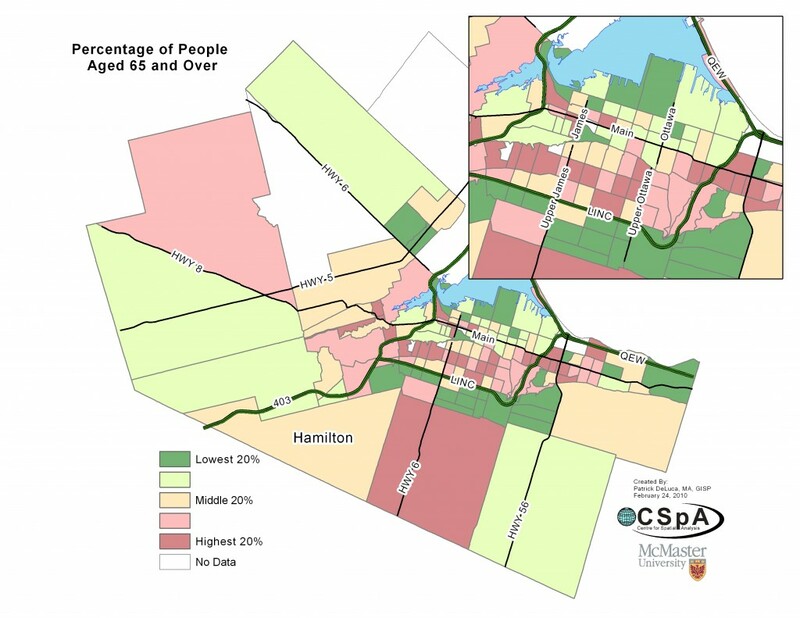 With the help of McMasterUniversity mapping expert Patrick DeLuca, maps were created for each variable, showing the differences between Hamilton’s 130 neighbourhoods. Also created was a death statistics map and an overall ranking map. 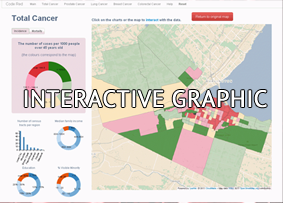 The maps, rankings and rates were then analyzed to examine the connections between health and socioeconomic variables in Hamilton’s neighbourhoods.